Bangalore Rural (parliamentary constituency number 23) comprises eight assembly constituencies – Anekal, Kunigal, Magadi, Ramanagaram, Kanakapura, Channapatna, Bangalore South and Rajarajeshwari Nagar. 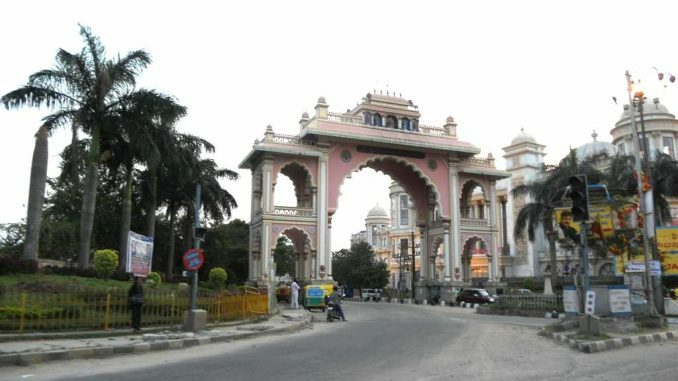 Bangalore South assembly constituency, comprising wards like Yelachenahalli, Begur and Anjanapura, should not be confused with the Bangalore South parliamentary constituency. Not yet in its teens, Bangalore Rural constituency was created during the delimitation in 2008. The current chief minister of Karnataka, H D Kumaraswamy of JD(S), was the first MP to be elected from this constituency, in 2009. Since 2013, D K Suresh of Congress has been the MP here. The demography of the constituency is largely rural. However, Bangalore South and Rajarajeshwari Nagar have a fair number of people working in the city’s IT sector. According to the website of the Chief Electoral Officer, Karnataka, as of 16th January, the constituency had a total of 24,55,926 voters – 12,67,379 male, 11,88,207 female and 340 others. Fifteen candidates are contesting from Bengaluru Rural this time. Nine represent political parties, while the remaining six are independents. The profile of candidates is highly varied. Their education levels range from 8th standard to PhD. Livelihood-wise, there are farmers, farm labourers, social activists, lawyers, businessmen, and retired government servants. Find the links to their affidavits and other details towards the end of this article. Election Commission of India (ECI) had rejected four nominations from this constituency, and three candidates had withdrawn their nominations. One woman is contesting from the constituency this time, as opposed to none in the 2014 election. D K Suresh, the incumbent MP of Bangalore Rural constituency, is contesting again on a Congress ticket from here. He was first elected to this seat in a by-election in 2013, after H D Kumaraswamy resigned as the MP here. 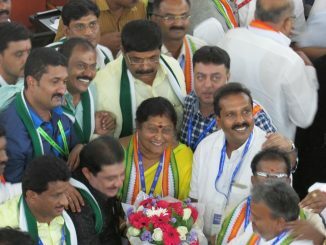 Suresh was elected a second time in the 2014 Lok Sabha election. Pending criminal cases: Five. Charges have not been framed in any of the cases. Over the past five years, Suresh’s assets have increased by 294 percent while his liabilities have gone up by 182 percent. Find details of Suresh’s performance in the current term (2014-2019), including attendance, debates participated in and questions asked, here. 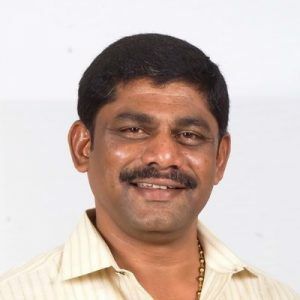 Ashwathnarayana, aka Ashwath Narayana Gowda, is BJP’s candidate for Bangalore Rural. A former MLC from Mandya and currently a BJP spokesperson, he is also an agriculturist and businessman. CC 2269/2017 before Prl. Civil Judge and JMFC, Mandya. 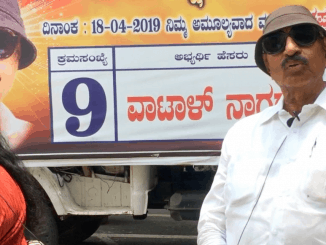 It was alleged that Ashwathnarayana, along with 40-50 BJP workers, formed an unlawful assembly and held a protest without permission, seeking dismissal of PSI Bhuvitha, and obstructed public way. LGC(P) 437/2018, Land Grabbing Court, Bengaluru. The case was filed on the allegation that Ashwathnarayana, without land conversion and approval from authorities, sold a site to the complainant. In the 2014 election, there were nearly 22 lakh registered voters in the constituency – 11.3 lakh men, 10.5 lakh women and 261 others. Of them, 14.5 lakh (66.45 percent) cast their votes. This included 7.5 lakh men, 6.9 lakh women, 12 others, and 607 postal voters. Of the 15 contesting candidates, 12 forfeited their deposits. The incumbent MP D K Suresh of INC won from the constituency with over 45 percent votes. The runner-up Muniraju Gowda of BJP could secure only 29 percent votes. How well do Bangaloreans know Karnataka’s new head of state? What kind of person is he? Fielding questions on Suvarna News, Siddaramaiah let out a calm demeanor to round off the tough-man image he has cultivated over the years. 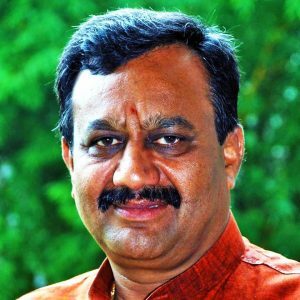 JD(S) corporator M Anand from Radhakrishna Temple ward was elected as the Deputy Mayor in the polls marked by controversy over the suspension of voting rights of Independent MP Rajeev Chandrashekhar and BJP’s PC Mohan. Thank you for writing in. Glad you found our article informative. And thank you for being a reader of Citizen Matters.